Strengthen your triceps and improve your overall arm shape with the body solid Olympic triceps bar. The 34" length by 7" wide triceps bar has a unique design that allows unrestricted arm movement and helps reduce injury by eliminating discomfort to elbows, forearms, and wrists. 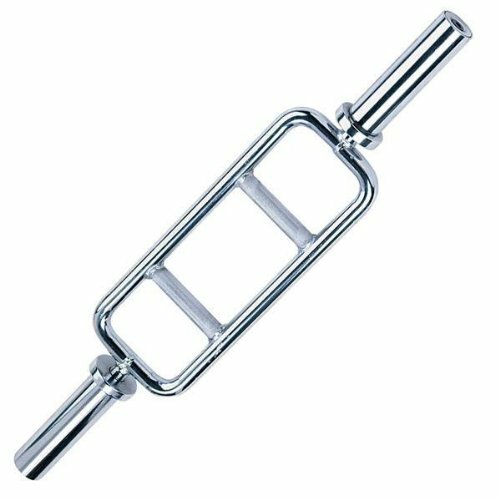 Feel confident in your strength training and target those hard to hit muscle areas with the body solid Olympic triceps bar.